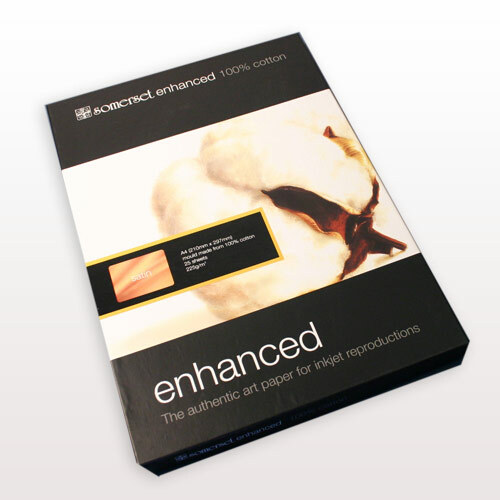 This paper is 100% rag (cotton), acid free, coated on one side & radiant white. Feels like uncoated cotton paper, yet prints like coated paper. It is specially formulated for inkjet printers such as Iris, Colourspan and Epson. Check suitability for your printer model. The paper listed below is 225gsm in weight and is available in 3 surfaces, TEXTURED, VELVET or SATIN.